At some point in the last couple of years, netlabel Ano(t)raks switched from being a purveyor of fuzzy indie-pop in a C86 vein to mainly releasing more polished music that could conceivably be played in a lounge. Indie-pop in any form is always hit or miss, so feeling the same way about a steady trickle of Shin Rizumu collections wasn’t a huge departure on some level. But a lot of it sort of just came and went. 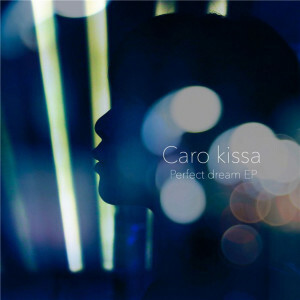 So credit to the duo Caro Kissa, who have made one of the finer EPs to come out of Ano(t)raks second phase with Perfect Dream. Part of the charm lies in the balance the pair strike…opener “Perfect Dream” is fast-paced indie-pop crafted with a little more care than most jangle arounds, boasting a sticky-sweet organ. It leads to the more laid-back and electric “Saturday Morning,” a dreamy song that never turns boring. Get it here, or listen below.